Seminar paper from the year 2013 in the subject Pedagogy - Pedagogic Psychology, grade: 1,3, Massey University, New Zealand, course: Counselling, language: English, abstract: Action Research (AR) is a term used to denote a methodical system of investigation and reflection, performed by individuals for their own professional practice and development. It encompasses a social philosophy that is centered on acquiring practical knowledge that can be applied to concrete situations. The goals of AR can be generalized into three potential outcomes: Improving practice, improving understanding of practice, and improving the situation in which the practice takes place . This classic guide continues to be the leading Research Methods text that specifically deals with Educational Leadership and Management. The collection boasts an array of high profile international expert contributors, covering a wide range of specialisms, and emphasising the importance of the critically engaged practitioner. Accessible and user-friendly, this edition has been fully revised and updated to take full account of online research. It features several new authors, more case studies and examples, and brand new chapters on: - Research Design - Grounded research - Ethnography - Discourse analysis - Narrative / Life history - Student voice Whether you are postgraduate, an academic, or a practitioner researcher, if you are investigating Research Methods, Leadership & Management or Educational Research, this is the book you will need. The second edition of this popular text confirms the book's status as an important forerunner in the field of visual methods. Combining the theoretical, practical and technical the authors discuss changing technologies, the role of the internet and the impact of social media. Presenting an interdisciplinary guide to visual methods they explore both the creation and interpretation of visual images and their use within different methodological approaches. This clear, articulate book is full of practical tips on publishing and presenting the results of visual research and how to use film and photographic archives. 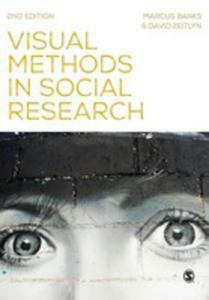 This book will be an indispensable guide for anyone using or creating visual images in their research. Luc Pauwels is Professor of Visual Culture at the University of Antwerp. He is Chair of the Visual Communication Studies Division of the ICA and Vice-President of the International Visual Sociology Association (IVSA). The aim of the Handbook is to present readily accessible, but scholarly sources of information about educational research in the Asia-Pacific region. The scale and scope of the Handbook is such that the articles included in it provide substantive contributions to knowledge and understanding of education in the Asia region. In so doing, the articles present the problems and issues facing education in the region and the findings of research conducted within the region that contribute to the resolution of these problems and issues. Moreover, since new problems and issues are constantly arising, the articles in the Handbook also indicate the likely directions of future developments. The different articles within the Handbook seek to conceptualize the problems in each specific content area under review, provide an integration of the research conducted within that area, the theoretical basis of the research the practical implications of the research and the contribution of the research towards the resolution of the problems identified. Thus, the articles do not involve the reporting of newly conducted research, but rather require a synthesis of the research undertaken in a particular area, with reference to the research methods employed and the theoretical frameworks on which the research is based. In general, the articles do not advocate a single point of view, but rather, present alternative points of view and comment on the debate and disagreements associated with the conduct and findings of the research. Furthermore, it should be noted, that the Handbook is not concerned with research methodology, and only considers the methods employed in inquiry in so far as the particular methods of research contribute to the effective investigation of problems and issues that have arisen in the conduct and provision of education at different levels within the region. This book provides new ways of thinking about educational processes using quantitative and qualitative methodologies. Concrete examples of research techniques are provided for those conducting research with marginalized populations or about marginalized ideas. This volume asserts theoretical models related to research methods and the study of underrepresented groups. Ultimately, it aims at expanding knowledge itself - altering the center by allowing the margins to inform it - allowing it to be created and extended to include those ways of knowing that have historically been unexplored or ignored. This book approaches research methods from a practice-first perspective that aligns research with professional experiences and identifies the tools and resources readers can use when conducting their own research. New Edition Of This Bestselling Comprehensive Introductory Text That Will Help Readers Understand The Multiple Research Methods And Strategies Used In Education And Related Fields. Single-Case Designs for Educational Research provides up-to-date, in-depth information about the use of single-case experimental designs in educational research across a range of educational settings and students. Each chapter reviews state-of-the-art content in a writing style that is accessible to graduate-level students. Examples of research methods are drawn from contemporary educational literature and address a range of student populations and educational issues.